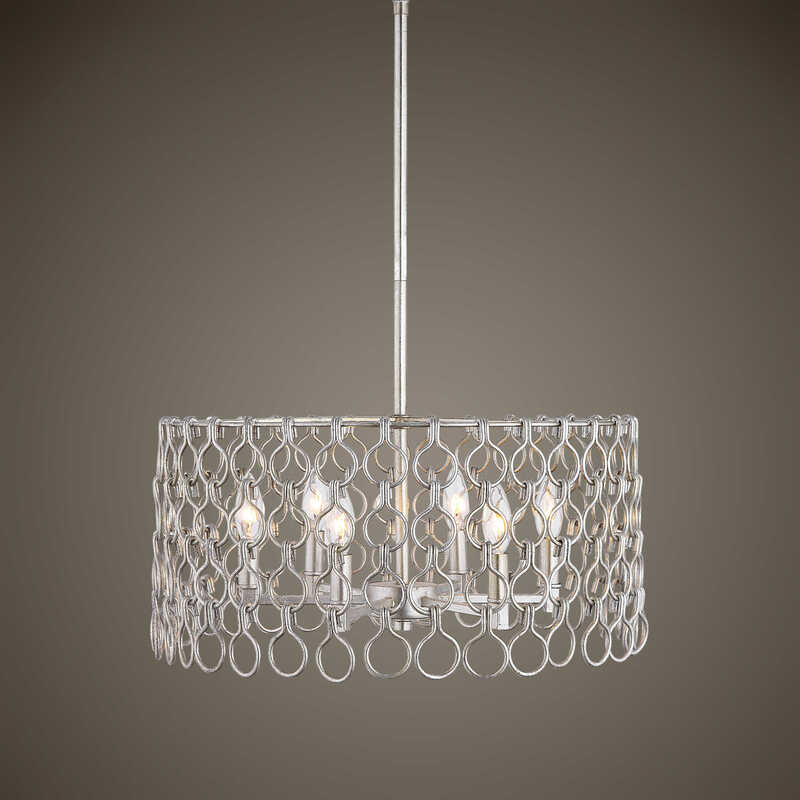 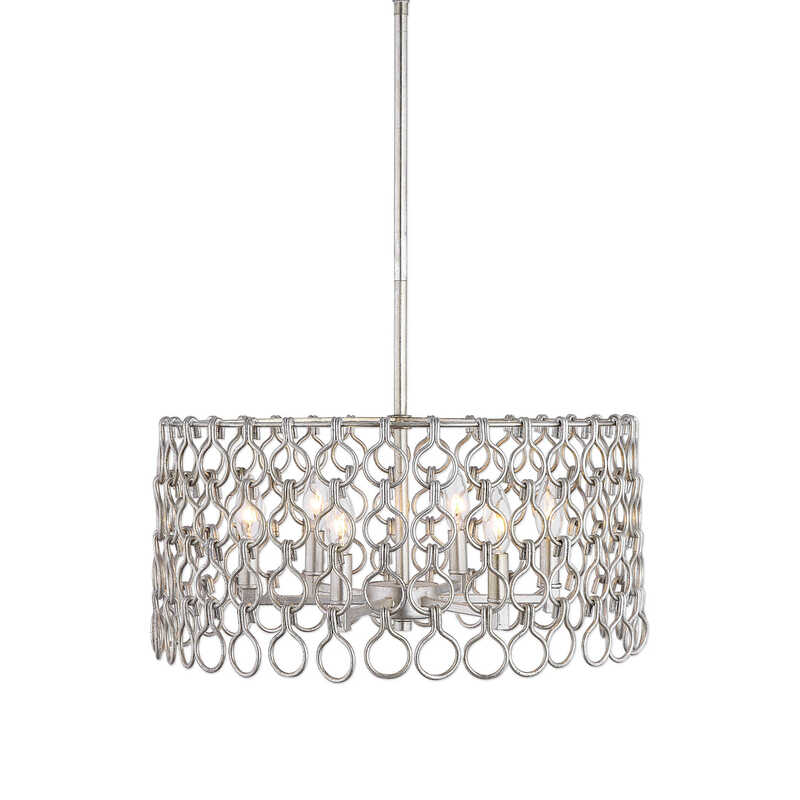 Unique transitional pendant featuring a large scale interlocking chainmail style shade all finished in antiqued Champagne silver leaf. 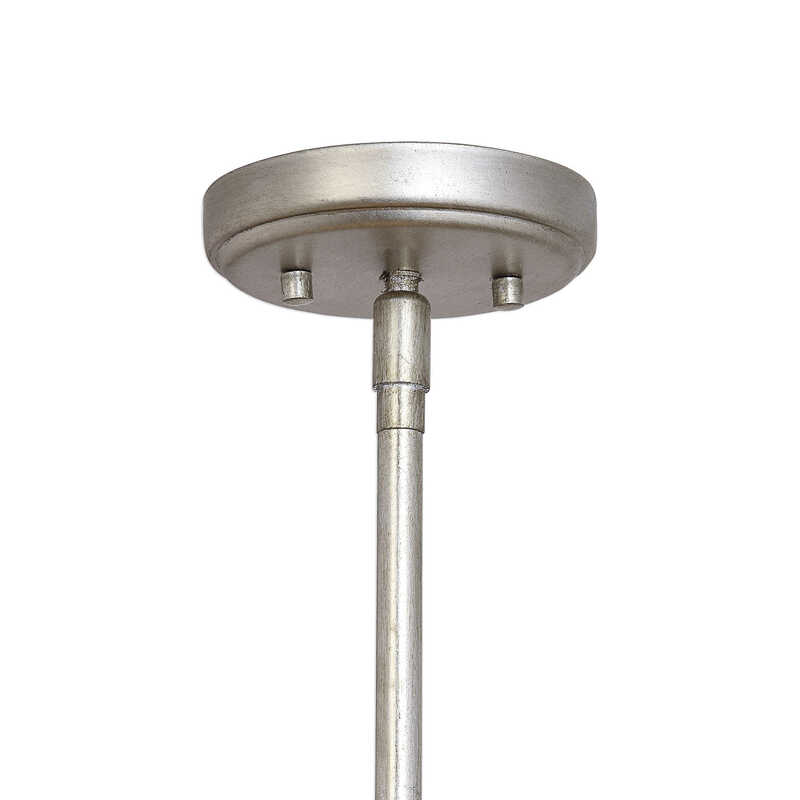 6-60 watt max, candelabra sockets. 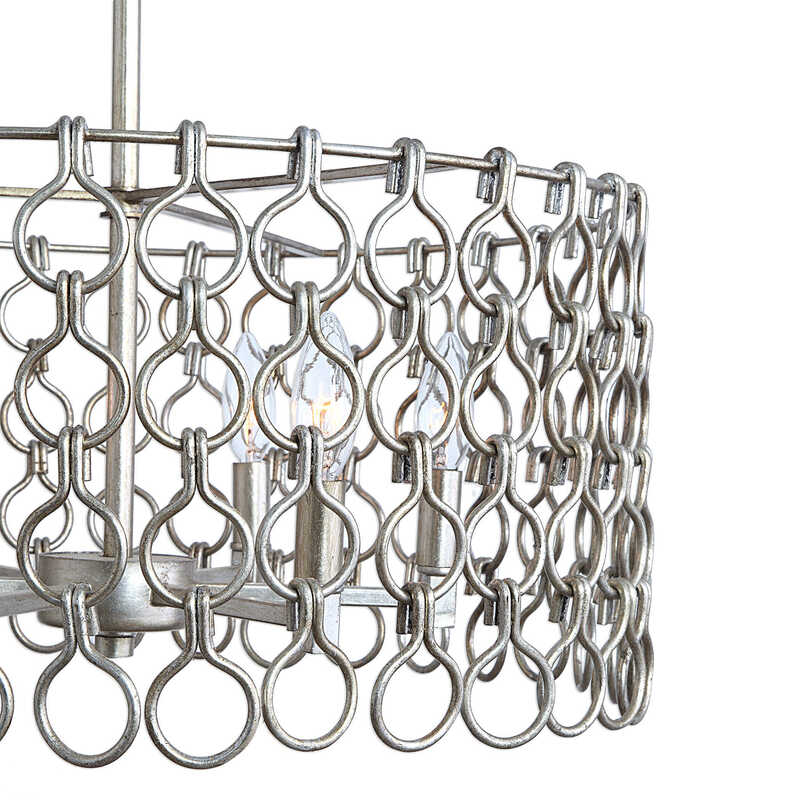 Includes 15'wire, and 3-12" stems & 1-6" stem for adjustable installation.